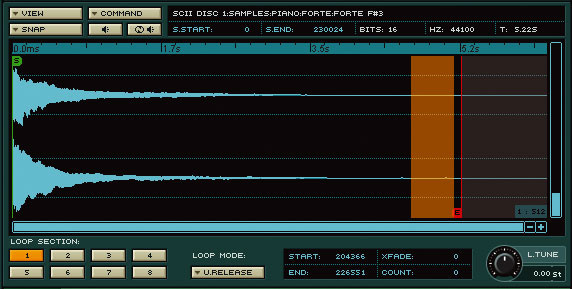 If you think of computer-based samplers today, you're probably picturing EXS24, Kontakt and Mach V, to name just a few, and the name of Digidesign is unlikely to come to mind. However, the company's Samplecell was the first mainstream product to bring professional sampling to the desktop, and was a huge success. Samplecell started out as a stand-alone card-based sample-playback device released in 1991. Over the years the cards moved from Nubus on the Mac and ISA on PCs to PCI, then finally to the Samplecell II Plus, which featured onboard RAM instead of empty slots. The cards featured four stereo outputs, and were controlled by a stand-alone software editor. 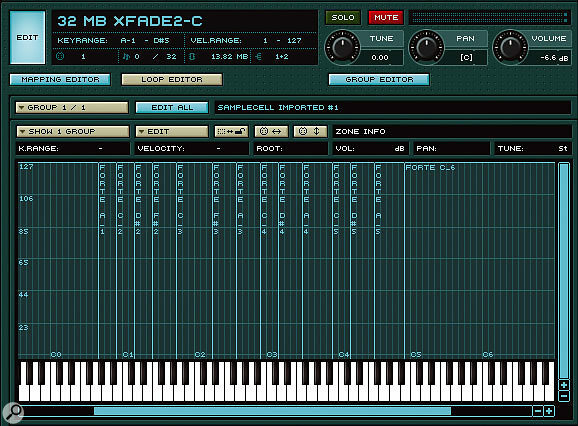 Like modern samplers, the creation, saving, and loading of samples, instrument patches and multitimbral banks was handled by software. 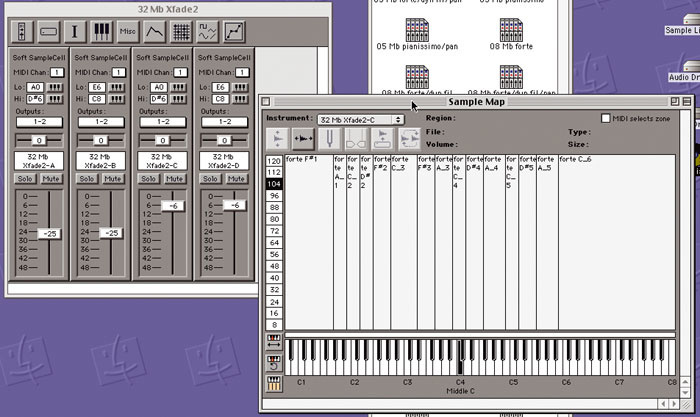 This screenshot and the opening one (above) show a Samplecell Bank (multi-instrument patch), a keygroup map for one of the instruments, and a modulation window. 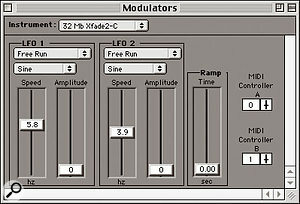 The development of Samplecell TDM, moreover, was a stroke of genius, and probably the first example of a synth or sampler fully integrated into a DAW. TDM hardware interfaces were added to the Samplecell cards, allowing you to ignore the cards' built-in analogue outs and route your sampler instruments straight through Pro Tools ' mixer. 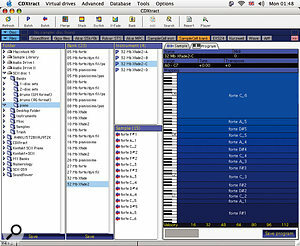 In more recent years, the rise of virtual instruments has led to a move away from hardware, and in 2001 Digi released Soft Samplecell. 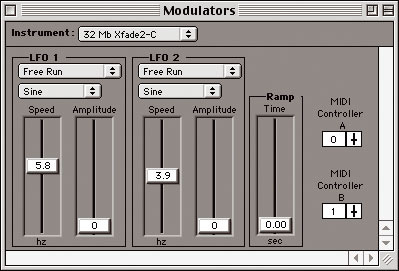 This used the same editor software, and was compatible with existing patch libraries, but was host-based, and used connected audio interfaces for its outputs. Integration with Pro Tools was by Direct Connect (Digi's inter-application audio routing system before they adopted Rewire), rather than running internally as a plug-in. IK Multimedia's RTAS-format soft sample player appears to be Digidesign's recommended route for Samplecell users, as the two companies cooperate on a crossgrade offer. All Pro Tools systems currently ship with a copy of Sampletank SE bundled, but this doesn't read Samplecell libraries itself. Instead, you can see if you get on with it, then have the option to upgrade to the full version of Sampletank XL for £232.50 at IK's on-line store; if you don't have the bundled Sampletank SE but do have Samplecell, you can also crossgrade to Sampletank XL for the same price, which is £100 less than list. The smart money, however, would probably go on Sampletank L, which is the same as XL but comes with a reduced factory library. If your main goal is to use your Samplecell library, this will be of little consequence, and means you only pay £199.17 on-line. The main point of all this is that Sampletank L and XL can open and use Samplecell Banks and Patches directly, solving the problem in one easy step. 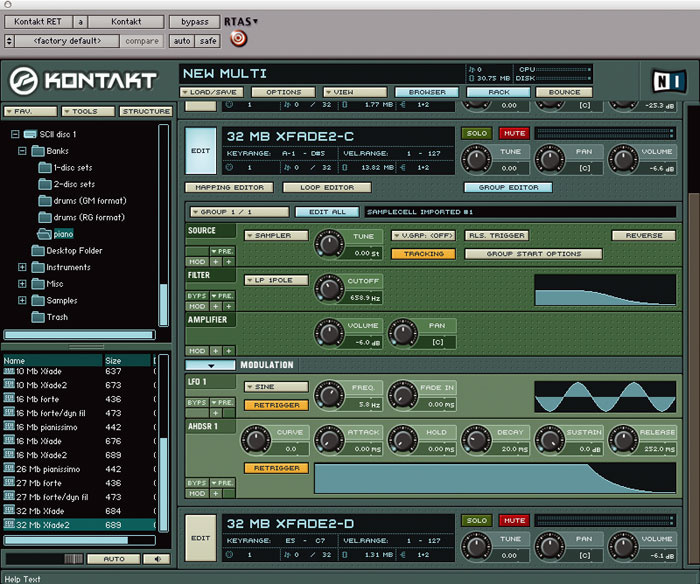 Kontakt has the advantage of being able to read Samplecell II files directly. If you navigate to the Bank file, and simply drag it into the main area of Kontakt's window, a Multi will be created with the individual instruments intact along with all their level and pan settings. 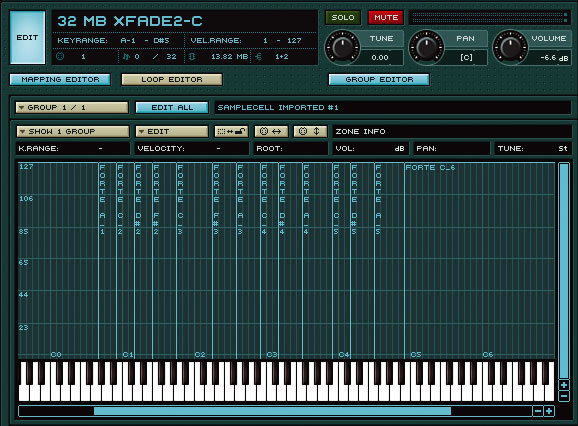 The three screens show the keygroup, sample looping and modulation parameters retained as closely as possible within Kontakt. Native Instruments' sampler is so good that it's been well worth converting Samplecell patches to its NKI format using CDXtract (see below). However, the even better news is that the most recent version (1.5) can open Samplecell files without any need for pre-processing. Kontakt runs as an RTAS plug-in directly within Pro Tools, or can run stand-alone. Update to version 1.5 is 49 Euros, or just 19 Euros if you bought an earlier version after August last year. The full version is listed at £299.99 including VAT. 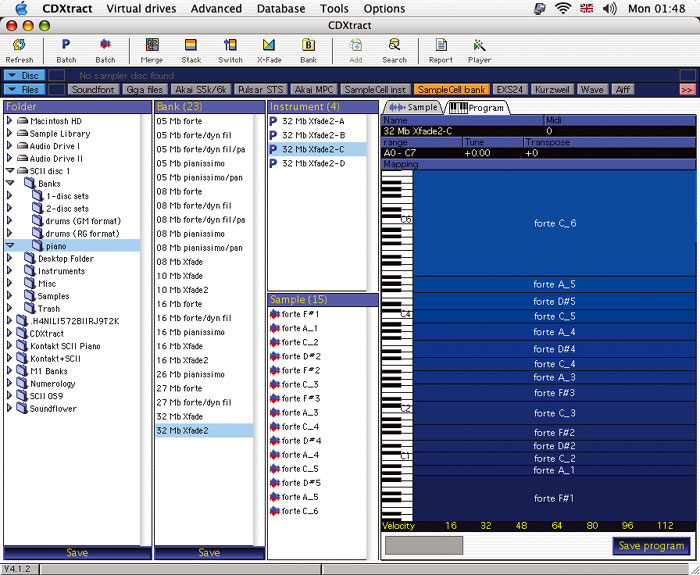 The screen shots show an example of opening a Samplecell 2 bank in Kontakt, and the high level of compatibility with most parameters of the original patch. Like Native Instruments, MOTU have always provided their products with a high level of Pro Tools integration. 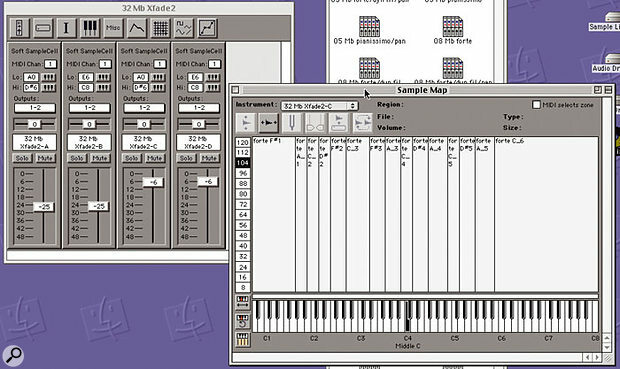 Mach V, the latest member of the heavyweight soft-sampler club, is no exception and works as a RTAS plug-in in Mac OS 9, OS X and Windows Pro Tools systems. What's more, part of the concept for Mach V was total file and system compatibility, so the Samplecell file format has been supported from the outset. This is probably your best bet if you're on OS 9, and costs £295. CDXtract can strip out all the mapping and modulation information from a Samplecell Bank, which can then be saved in any format you like, such as NN-XT. With the above samplers bringing on board such wide file compatibility, the need for conversion may be dwindling, but there are still a number of extremely useful aspects of CDXtract. This clever and well-thought-out utility runs on Mac OS 9, OS X and Windows, and can handle file interchange between just about any sample patch format you can think of. It remains useful if you use samplers that are not directly supported within Pro Tools, such as Emagic's EXS24 in Logic, or Halion in Cubase for example. In particular, you may find that CDXtract 's ability to save patches in Reason's NN-XT sampler format is the killer trick. If you've got Reason (and most people have!) then this could save you from buying another dedicated sampler plug-in like those listed above. The full list that CDXtract can convert Samplecell files to is Soundfont, MESA, Akai S5000/6000, Reaktor map, Pulsar STS, Gigastudio, EXS24, Halion, Vsampler, Kontakt, Reason NN-XT, Battery and DS404. On-line purchase is 139 Euros and entitles you to free updates indefinitely. This utility from Chicken Systems performs much the same conversions as CDXtract, although the Mac version is currently a bit limited, only being able to convert Samplecell to EXS24 and Halion formats. One nice feature of TP is that you can order a Special Edition that just supports a limited translation option, so if you just want to convert from Samplecell to one format that you'll be using, you only pay $79.95 instead of the usual $149.95.